BlogHome » Blog » Don’t Fight, You’re Both Right! A new article has been published on the UHL web site which reassesses the sources of the manuscripts found in the Judean Desert Caves and Masada. This reassessment includes taking a new look at the caves in the light of discoveries and scientific work on the caves and site of Qumran that have been recently published. 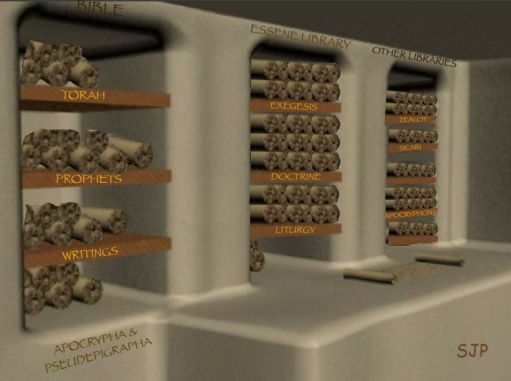 The long standing “consensus view” concerning the scrolls of Qumran caves has been challenged strongly recently by such scholars as Norman Golb, Lena Cansdale, and the late Yizhar Hirschfeld. They have some legitimate questions for the consensus view that considers the scrolls from the caves as the being the property of Essenes which they further assert lived at Qumran. Remembering that DeVaux recognized at least 8 phases of occupation at Qumran, read this recently published reassessment of the question and see what you think.